With the holiday season quickly coming up there is a sudden urge to make more money before Christmas finally arrives. 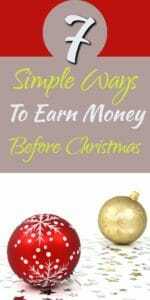 If you need to make money for Christmas then picking up a side hustle is a great way to earn some extra cash before the holidays. 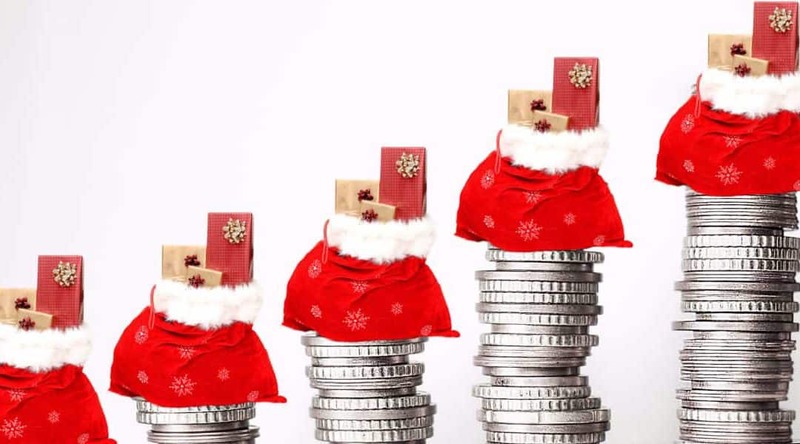 Here are some ways to make money for Christmas, to help you out with all the extra demands that come up on your wallet. From September through December there is tons of seasonal work you can pick up. Look at the online classified and see if there is anything you are interested in doing that fits your schedule. Bonus points if you can find somewhere that has offers a discount on your shopping needs. Eventually we are going to be buying the majority of our purchases online the easy way to do it. But there is a smart way to do it. The smart way involves signing up for these programs and using them before you begin your shopping experience. Places like Ebates and Swagbucks all offer points for using their sites. As you gather points you can cash them in for gift cards at some of your favourite online shopping places. Best of all they offer incentives to get started. 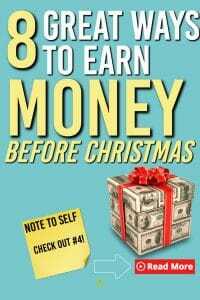 Ebates offers $10 to sign up and Swagbucks offers $5 sign up bonus. Did you know you can make money in your spare time driving people or food around? With Uber you can sign up and start earning money so that you can crush your earnings going into Christmas. This is the time of year where everyone is going out and needs a driver. That’s where you come in. You can find out more about becoming an Uber driver here. Sign up quickly to become an Uber driver here. This is perfect for anyone that loves shopping. Instacart is the go to service for quick and effective grocery delivery. Customers select groceries from our various retailers, they then send out a personal shopper (you) who will do the shopping and deliver to the customer when they are finished. Check out Instacart to get started. From listing a shared room, to even your whole house, Airbnb has you covered. This is probably the best ways to make extra money using your house. You choose the rates for what you are listing (Airbnb has an awesome tool that shows you what’s best to charge), and you get to interview the people before they rent from you. For more on Airbnb rates in your area, you can check here. Best of all Airbnb is free to sign up and simple to get started. You can sign up in a matter of minutes for free. There is no cost to list your place and they only take a small commission once you have a guest. Plus, they handle all the money so there is no awkward collecting from the guests who stay at your house. If you are ready now, start hosting on Airbnb today! Not keen on having people in your car? UberEats may be the perfect side hustle for you. With all of the parties and get togethers delivering food can be a great way to earn money before Christmas. You can courier food using the Uber Eats delivery program and make extra money in your spare time. Best of all you don’t need a car if that’s what’s holding you back, Click here to learn more about becoming an UberEats driver. Get started right away and apply here for UberEats. Surveys are a great way to make some extra cash while never leaving the comfort of your living room. 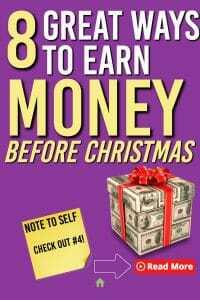 Here are a few to get started earning, click on the link to get started. Surveys are one of the easiest ways to get started making extra money. If you are looking for ways of earning money with surveys,these ones are the better ones to start with. You can do them sitting on your couch at night. Find this helpful? Please share it so others can make extra money!